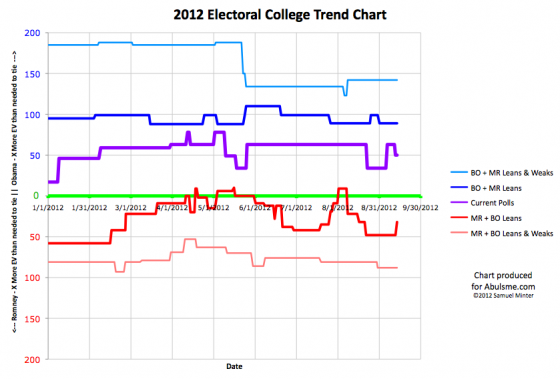 Electoral College: Now the bounce? Michigan Goes Blue Again. 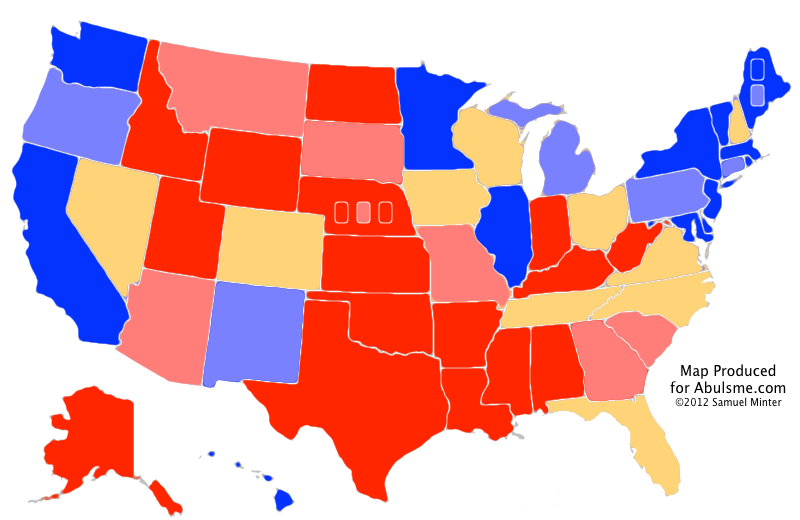 Obama’s lead in the state is now just barely over my 5% threshold, so I move the state from “Leaning Obama” to “Weak Obama” and color it light blue on my map. Basically, Obama is now far enough ahead in Michigan that it looks like a pretty safe bet that he will take the state in November. But his margins aren’t so high that he should be taking the state completely for granted. Given the right opportunity, Romney could still make it close again. At this level, Romney’s best case has him with 32 electoral votes more than he needs to win. Looking at this, he still has no “must win” states mathematically. Theoretically he could lose Florida (27) and still win if he won every other close state. Realistically speaking of course, if he is in a position where he loses Florida, it is highly unlikely that Romney would simultaneously win the rest of the close states. 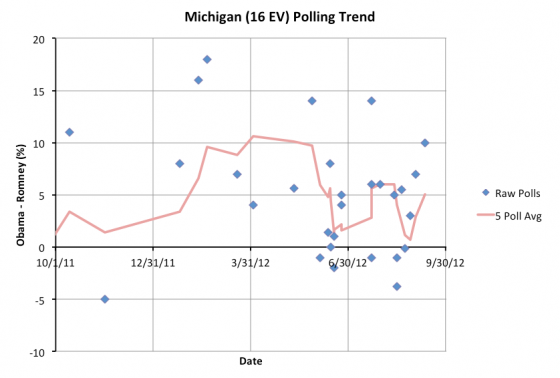 His paths to victory are a lot narrower without Michigan as a possible win. It has only been a week though. And it has not been a great week for Romney. Romney may still have some good weeks left in him before this is all said and done.